The event is free but ticketed; members of the general public can pick up tickets starting Wednesday, Jan. 24, at Marano Campus Center box office or by calling 315-312-3073. Sellers made history in 2006 when, at age 22, he defeated a 26-year incumbent state representative to become the youngest member of the South Carolina state legislature and the youngest African American elected official in the nation. In 2014, he was the Democratic nominee for lieutenant governor in the state of South Carolina. Earning his undergraduate degree from Morehouse College, where he served as student body president, and his law degree from the University of South Carolina -- he practices law with Strom Law Firm in Columbia, S.C. -- Sellers has followed in the footsteps of his father, civil rights leader Cleveland Sellers, in his commitment to service. 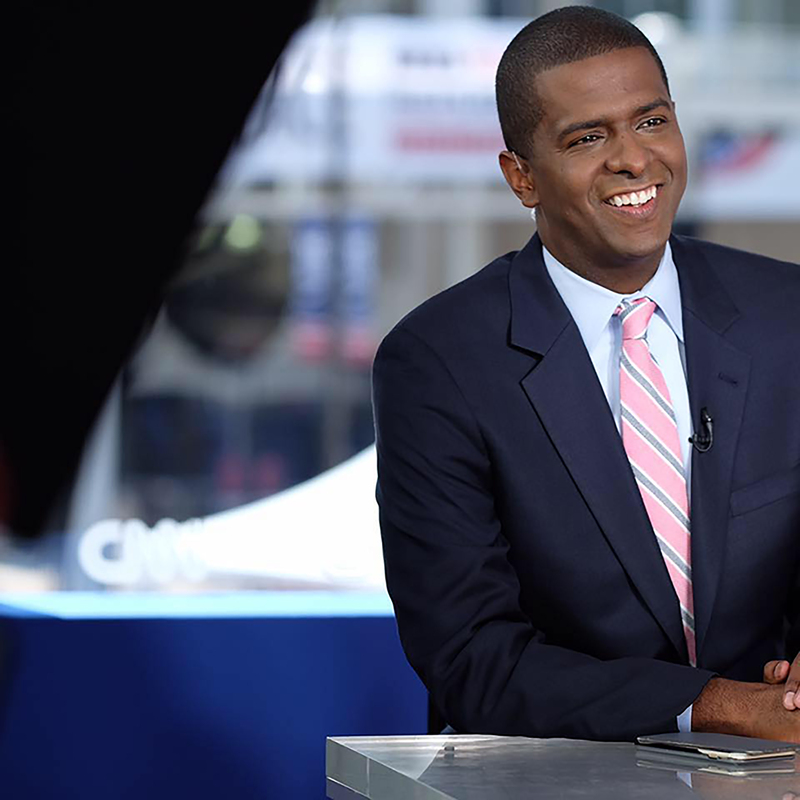 Bakari Sellers has championed progressive policies to address issues ranging from education and poverty to preventing domestic violence and childhood obesity. Sellers served on then-presidential nominee Barack Obama's South Carolina steering committee during the 2008 election, as is considered a Democratic rising star. Time Magazine named him to its 40 Under 40 list in 2010, and he was on the 2014 and 2015 "The Root 100" lists of the nation's most influential African Americans. Besides for CNN, Sellers provided political commentary on MSNBC, including multiple appearances on "Hardball" with Chris Matthews and "Morning Joe." He currently serves on the National Council of the American Israel Public Affairs Committee (AIPAC), and has served as a featured speaker at events for the National Education Association, College Democrats of America National Convention, the 2008 Democratic National Convention and, in 2007, delivered the opening keynote address to the AIPAC Policy Conference in Washington, D.C.
People with disabilities needing accommodations to attend this event should contact the SUNY Oswego Dean of Students Office at 315-312-5483.